His work in the studio with the likes of Dylan, the Rolling Stones, Big Star, the Replacements, Ry Cooder and others had consistently put him in the front ranks of recording studio “go to” guys, not only in Memphis but in Muscle Shoals and Miami, as well. His own recording career was something else entirely. His music was powerful, a driving force, marked by explosive spontaneity, it was an outlet for a creative spirit who found inspiration in the artists with whom he worked as well as those who had influenced him early on. Son Luther Dickinson writes in his poignant liner notes, “Nobody could rock as hard as he could.” Yet, for the first fifty or so years of his life, Jim Dickson -- as James Luther Dickinson, his recording artist alter ego -- recorded sporadically and NEVER for the same label twice. 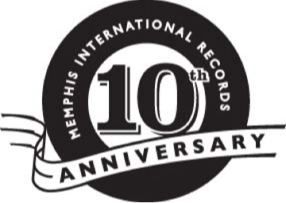 This all changed early in the new century with the release of Jungle Jim & The Voodoo Tiger, the elder Dickinson’s album debut for Memphis International Records. It was followed, in fairly rapid succession, with the release of Killers From Space and Dinosaurs Walk In Circles. 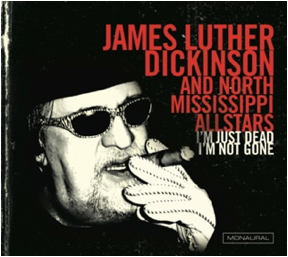 Now, despite the fact that he’s parted this mortal coil, comes a fourth for the label, the aptly titled I’m Just Dead, I’m Not Gone. It’s Dickinson’s fourth album for the label and set for release on CD, LP and digitally on July 3rd. It was on Friday, June 2, 2006 that Dickinson took to the stage of the New Daisy Theater on historic Beale Street for a rare and much anticipated show date. Backed by the aforementioned North Mississippi All Stars, sons Luther on guitar and vocals and Cody on bass and vocals along with de facto/honorary son Chris Chew on bass plus session jack-of-all-tracks Jimmy Davis on guitar and vocals. Front and center on piano and lead vocals was James Luther Dickson who commanded the stage for a rollicking set, the cream of which comprises the tunestack of I’m Just Dead, I’m Not Gone. I’m Just Dead, I’m Not Gone is a reflection of Dickinson’s lifelong affinity for songs that have style, substance and, are at the same time, truthful. The blues root of his art is present in songs from the Furry Lewis and Sleepy John Estes catalogs along with tracks emblematic of Jim’s career-long relationship with folk and soul music, all which he alchemically transformed into sanctified rock ‘n’ roll in the barrel house tradition. Dickinson is very much alive on these incendiary tracks reaffirming the prescient contention that gives this remarkable set its title.